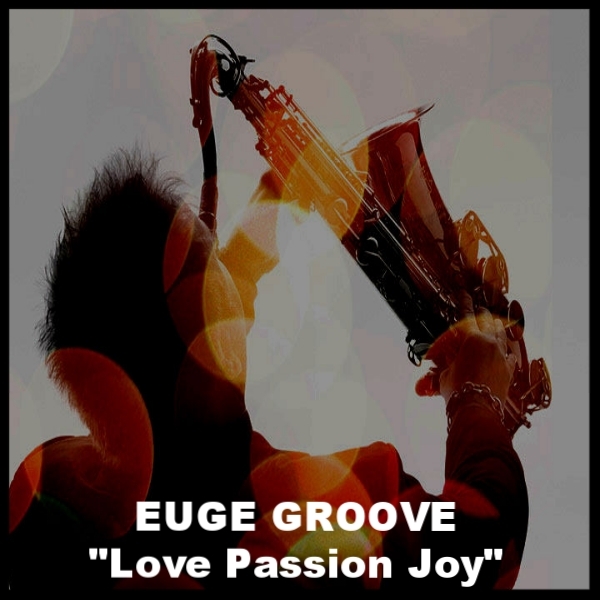 It is with great pleasure that we present the latest from saxophonist, Euge Groove (Steven Eugene Grove): “Love, Passion, and Joy” written by Steven Eugene Grove himself. Euge Groove is the stage name for saxophonist and ex-Tower of Power member Steve Eugene Grove. Euge Groove -- a pseudonym for saxophone journeyman Steve Eugene Grove -- began playing piano in the second grade and turned to the saxophone at the age of nine or ten. His teacher gave him a classical education on the instrument, which he followed at the University of Miami's School of Music, where he became interested in jazz. Upon graduation, he initially remained in Miami doing sessions and playing in bands such as Expose, where he can be heard on the group's 1987 number one single "Seasons Change." He then moved to Los Angeles and joined Tower of Power, remaining with the group about four years. Following this experience, he freelanced, doing sessions and working in backup bands, his clients including Joe Cocker, Eurythmics, the Gap Band, Huey Lewis & the News, Elton John, Bonnie Raitt, Aaron Neville, Eros Ramazotti, and Richard Marx. His saxophone appeared on Marx's Top 20 pop and number one AC hit "Keep Coming Back" in 1991. At the end of the '90s, Grove developed the persona of Euge Groove, a corruption of his real name, and recorded a demo that attracted the attention of various labels. This demo soon landed him with Warner Bros. Records. Euge Groove, his debut album, was released in May 2000. At the time, the saxophonist toured in Tina Turner's backup band. He followed up with 2002's Play Date, featuring the singles "Slam Dunk" and "Rewind." In 2004, Grove moved to Narada for the '70s pop-soul-inflected Livin' Large. Grove stuck with the '70s vibe for 2005's Just Feels Right and then incorporated a more gospel approach for 2007's Born 2 Groove. He moved to Shanachie for 2009's Sunday Morning. In 2011, Grove returned with his seventh studio effort, the fittingly titled Seven Large on Shanachie, with two more releases following for the label, 2012's House of Groove and 2014's Got 2 B Groovin.